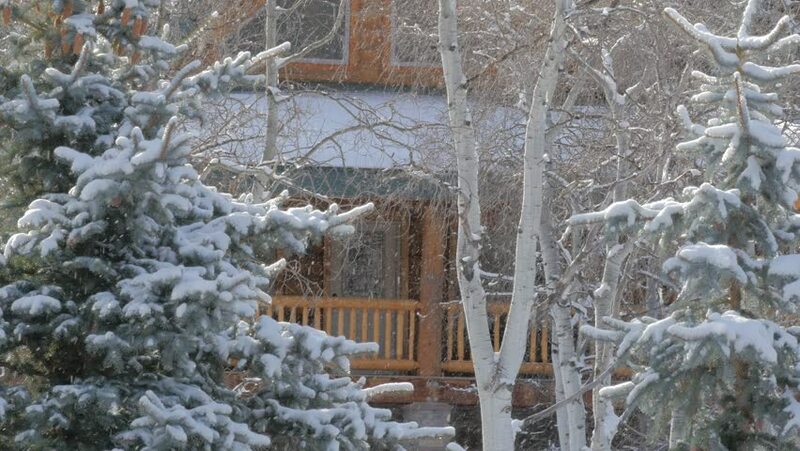 Snow lightly falling during the day at a mountain cabin get away. hd00:32Beautiful sunny snowy winter landscape. Closeup view of covered with fresh snow fluffy huge evergreen fir trees isolated at bright sky background. Beauty of winter season concept.